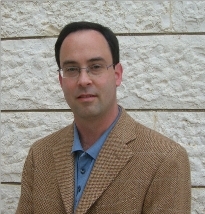 Eric Gould joined the economics department at Hebrew University after receiving his Ph.D. from the University of Chicago in 1996. He has published several papers in leading journals in the following areas: (1) the effect of immigrants on the economic and educational outcomes of natives and vice versa; (2) the causes and consequences of increasing wage inequality, (3) marriage market behavior, (4) the effect of the environment on the economic and social outcomes of individuals, and (5) the analysis of incentives and externalities in contracts. In 2004, he received the H. Gregg Lewis Prize for the best paper published in the Journal of Labor Economics from 2002-2003. Currently, he is also a research fellow of IZA and the CEPR, and an associate editor of Labour Economics. Eric Gould joined CReAM as an external fellow in May 2006.